This afternoon I decided to bake a loaf of bread. We often bake bread, so it’s nothing particularly unusual, but as I was tipping in the flax seeds and the sunflower seeds, I was struck by the label on the sunflower seed packet. It said (in big letters) Natural Sunflower Kernels. It struck me as hilarious, and I got the giggles. 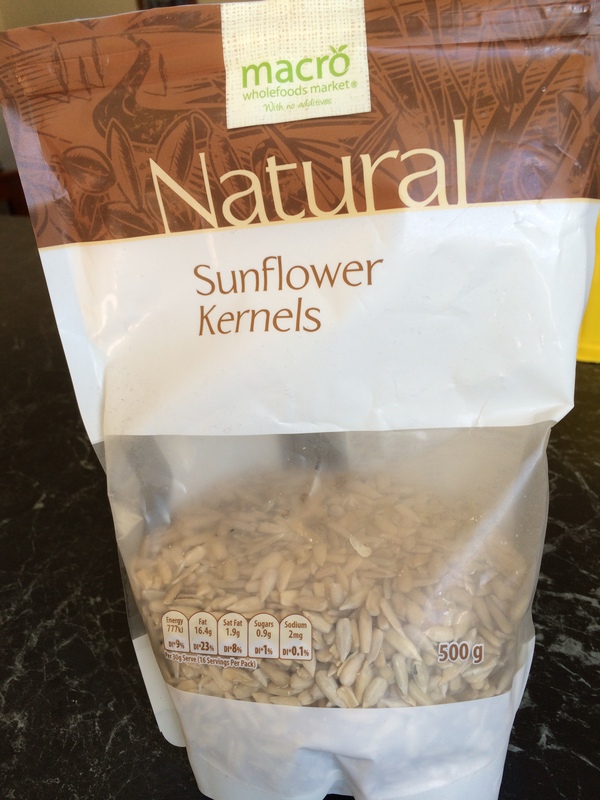 They’re sunflower kernels – why wouldn’t they be natural? Did I expect them to be made of plastic, perhaps? Or created by some form of alchemical magic? What else did the supermarket think I’d expect to find inside the packet? I got to thinking about it, wondering why something that comes from a plant had to have the label ‘natural’ attached to it, and then was struck, once again, by the sheer quantity of ‘natural’ stuff all over the internet. Every day, my Facebook feed has several posts proclaiming the wonderfulness of ‘natural’ posted by a variety of friends. Usually those posts proclaim that whatever it is, is ‘chemical free’ as well as being natural. Clearly some of the labelling is about marketing. I’m a health professional with a science degree. With any science degree comes a basic (in my case it is basic) understanding of chemistry. With even a basic understanding of chemistry, comes the knowledge that everything is made of chemicals, which means that absolutely nothing in life (including life) is chemical free. When I drink water, I’m chugging down the chemical dihydrogen monoxide. When I sprinkle salt on something, I’m putting the chemical sodium chloride on it. I had a look around the internet to see what sunflower kernels (not seeds, but kernels after you’ve taken off the husk) were made of. They’re made of all kinds of stuff. If you click here you can find lists of all the things in sunflower kernels – and they include things like ammonia, lysine and phenylalanine – probably not something you think of when you eat them. Except that we do. The other thing I see coming past on my Facebook feed is the alternative health posts. A recent one I’ve seen around all over the place, is about apricot kernels being a ‘natural’ cure for cancer. Apart from the fact that they aren’t a cure for cancer, there have been several cases of cyanide poisoning related to people eating them. Food Standards Australia and New Zealand has this to say about them: ‘FSANZ advises that it is unsafe for adults to eat more than three raw apricot kernels per day. Children should not eat any.’ Click the above hyperlink to read more. So what do we do? How do we find our way through the maze of stuff out there (or even here!) in the world of the internet? I always like to check reputable sites. I use .gov.au or .edu.au extensions, or I search journal articles. However, I have a science degree, so I’ve learned about study design and how to assess it, and I have access to a multitude of journals through my professional association. Some stuff I know – because it’s my field of expertise, but there’s other stuff that I wouldn’t have a clue about, so I have to figure it out. That means trusting professionals. Professionals in the relevant fields who can interpret the raw data and describe it in words I can understand. If it’s a medication, my pharmacist or GP are the people I talk to. If it’s something to do with animal science, I chat to a vet, or our daughter, who’s nearing the end of her own degree in that subject. If it’s food, I can look at the relevant government site, and if it’s a ‘cancer cure’ the http://iheard.com.au site is excellent. You can even submit your own questions. There are some people who might say things like “But the government never tells the truth, you can’t trust a government site.” or “But you can’t trust doctors, they just spout what the pharmaceutical companies tell them.” (That’s one I’ve seen a lot on the internet.) Well, I’m a physio. I went to university too, and as a mainstream health professional, I learnt anatomy, physiology, pathophysiology and clinical reasoning, along with critical thinking and study design, just like doctors do, and was taught by people who were diligently researching ways to improve the health and wellbeing of other people. Some of them were doctors, some physiotherapists, and others had relevant degrees in their own specialities. They weren’t hogtied by an enormous pharmaceutical conspiracy at all, just normal human beings, and at some point, we have to trust someone. Having said that, we also have to pick the right people. For myself, I choose professionals and experts, not someone who read something on the internet and then posted it because it sounded like it should be reposted. I like to look at the sources of those posts as well. If the author isn’t a respected expert, or doesn’t have the relevant qualifications, or if their references (if they have any) don’t check out as being from reputable sites, then I view them with grave suspicion. If the author has their own online store containing books, (often written by themselves), products that promise miracles along with other stuff, I regard them as even more suspicious, particularly if their views are not representative of the general scientific consensus.